"The radios we took apart for this week's teardown are the UV-5R and the UV-5RB, though there appear to be many products by Baoefang with a similar product designation (UV-5R, UV-5RA, UV-5RB, UV-5RC, UV-5R+, UV-5R V2, etc...). While only the UV-5RB will appear in the following article, the interior layout of the two radios is largely identical. I opened two radios because the UV-5RB that I initially tore down had multiple integrated circuits with illegible or completely absent top-side markings." Circuit drawings and other info at the link. Basically, $13 per radio to the US - if you need 10. 12/29 Correction: Reading is hard. Thanks to the correction in the comments - this is for the battery only. Doh. Put one in your trunk. Leave one at work. Put one in your laundry room. Someone got on top of Neyland Stadium with a UV-5R. The UV-5R makes another TV appearance. Guess we are done... Baofeng UV-5RZ. They've run out of letters, so no more radios. Sad face goes here. Thanks to Nate for the link. Image via reddit - love the comments. Both this post and number four on the list suggest a real desire for a good quality, but inexpensive mobile. They made the list despite only getting posted in May of 2015. The UV-5R remains popular and hams like to tinker/fix things. I'm surprised that this got so many hits as I don't maintain it - looks like I should do some updates. Again, software posts seem to be popular. And everyone that got a UV-5R wanted to check out the the new version of the software. I'm glad this gets some hits as I try to keep it updated as a quick reference - I would like to expand it by keeping track of lowest prices and other miscellaneous data. The UV-B5 still seems to be a sleeper. I think the Baofeng Tech UV-5001 and Baofeng Tech UV-2501 mobile radios would have been more popular posts than the KT8900 - except they weren't released until November. The little clone of the Yaesu VX-3R, the UV-3R, really got folks interested in the Chinese radios. I can't believe it still gets so many hits. And hams would love to get something for nothing! This tells me that lots of people visit my blog the old fashioned way - by going straight to the root domain. Here's to an interesting 2016. May it be everyone's best year yet! Baofeng UV-5R for $31 (Free Ship) as an Amazon Lightning Deal - only about an hour left. 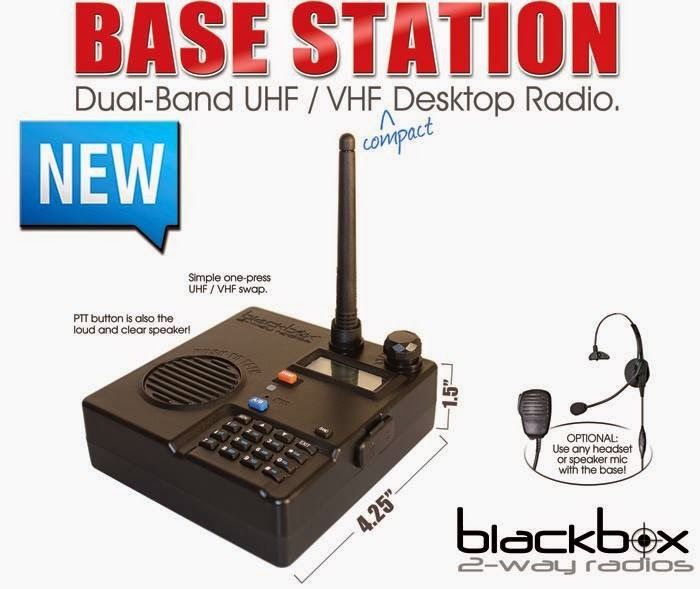 From the guys at BuyTwoWayRadios... the Blackbox Base station that I've posted about a couple of times. A while back I posted about what I called the Blackbox Baofeng Base Station. The guys over at BuyTwoWayRadios discuss the Blackbox base station on their podcast. They've watched the video from Richard Klein (see below). 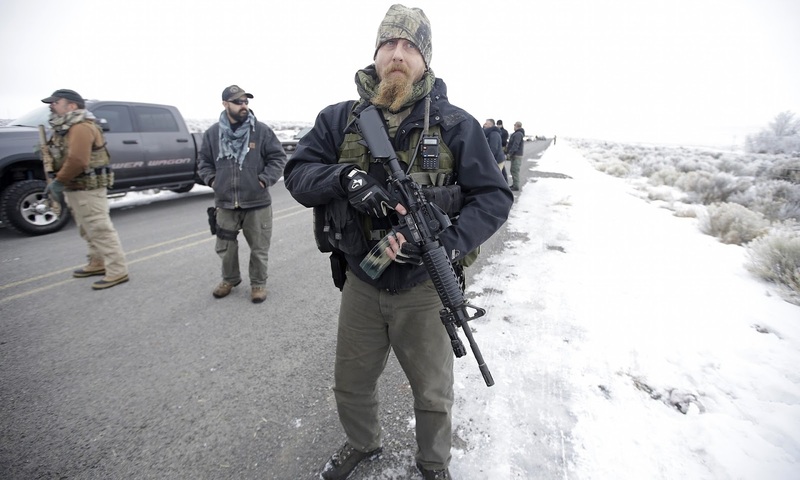 There isn't a ton of information, so they speculate a little, ask some questions, and offer some opinions. I pretty much agree with everything they say - interesting idea, mounting to the wall would be odd unless the antenna rotates, either this is a repackaged Baofeng or they are taking advantage of popular (thus cheaper) components, and the $239.95 price tag means few amateurs will be interested. "You should ask questions before you post ignorant comments. Yes we use a Baofeng keypad and screen due to low cost, but the entire thing from there is custom. The power supply is modified to accept AC. The speaker output is 3X a portable radio (4 Ohm speaker with amplifier). The circuitry is completely modified with high quality shielding, voltage protection, and coil mod. So you think it's a Vega from the headlights, but we wrapped it in a Ferrari body, and put a Maserati engine inside." Drop the first and last lines and you've got a helpful response. I really don't think anything said in the podcast was as harsh as the response. I saw thumbnail of that image first. I thought it was an Atari joystick. "This capability isn't available in CHIRP (yet). I am working on it and wouldn't mind a few testers. The oldest radios must get the settings from firmware and can't be adjusted. My UV-5R with BFB231 firmware can't be adjusted. I first tried this out on a UV-82L with success. Then later on a GT-3. Earlier this week, I got to try it on my own UV-82 and BF-F8HP radios. The difference is amazing. I don't know why Baofeng ships these radios with the squelch so "broken"." I believe that you will now find that Squelch 9 can really squelch out stronger stations and you will have to reduce squelch to 6 or maybe 5 for normal operation. If you like these settings, don't upload any other image file into your radio or they will be reset to the values in that image file. If you don't like these settings, or that don't appear to do anything, then just upload your original image file and everything will be as is was before." I'll be following this to see how it develops. "Two models are on display so far: the Misutā Samurai, and the Misutā Hero. Both are, of course, UV-5Rs, with reverse LCDs. Prices are about the same." These things sure are full featured - they even act as a remote for auto-opening garbage cans. If you are having problems with your UV-5R where the receiver is muted, check out Miklor and the BuyTwoWayRadios pages for some common problems and fixes. Some newer radios with N5R-20 and N5R-30 firmware. This is a current firmware that will ship with ALL UV5R series radios. This includes all UV5R, RA, GT-3, BFF8, F8HP, etc. So a there is a new kid on the block... the Baofeng BF-F8HP. Miklor has a review. He says it has the same chip as the GT-3. He also has output power measurements and they look good. You can order one at Amazon for about $63.